This is part 2 of the post Texas Barbecue Myths. For Texas Barbecue Myths – Part 1 – Click Here. If you do an Internet search on Texas-style barbecue brisket recipes, you’d think that Texans have nothing to do all day and night but tend a barbecue smoker. Numerous recipes tell the reader that the “proper” way to barbecue a brisket is to do so at low-and-slow temperatures for upwards of 12 to 18 hours. The truth of the matter is, some of the most famous barbecue restaurants in Texas take no more than 5 hours to barbecue a brisket. In fact, some very famous restaurants there “barbecue” their briskets with temperatures as high as 600 degrees. Aaron Franklin of Franklin’s Barbecue in Austin has given several temperatures for barbecuing brisket over the years but all of them are in the 275- to 326-degree range. that greets you when you come through the back door. If you think about it, it is kind of ridiculous to take 12 hours to cook a 10-pound cut of beef especially when you consider the fact that an entire hog or side of beef can be perfectly barbecued in 8 hours. If you are cooking 25 briskets, perhaps the extra time is needed. If you are cooking one at a time like we do at home, perhaps we should rethink what “low and slow” actually means in terms of cooking barbecue. Some of the greats in Texas certainly have. Brisket being served at Kreuz Market. In my opinion, one of the reasons people fail so often when barbecuing brisket is the plethora of ridiculous instructions found on the Internet. When someone instructs you to barbecue a 10 pound brisket for 12 hours at 200 degrees, it should raise a big, red flag. That sounds more like a beef jerky recipe to me than a barbecue recipe. It’s not the cut of meat that makes it so difficult, it’s all of the bad barbecue cooking methods floating around. Not only is brisket not the hardest meat to barbecue, it’s also not the tastiest. Though a well barbecued brisket is delicious (think John Lewis Barbecue in Charleston), so is well barbecued pork, chicken, round roast and chuck. I think that many Texas barbecue restaurant owners, deep down inside, know that. That’s why so many are now resorting to cooking prime grade brisket. At least one famous Texas barbecue restaurant, Killen’s Barbecue in Houston, cooks Wagyu brisket that they sell for $30.00 per pound while claiming that they make no profit from it at all. If you have to resort to the highest price grade of meat for barbecue (where the tradition is to turn low quality cuts into a delicacy) to make the barbecue delicious, perhaps that cut of meat isn’t so great tasting to begin with. How many times have you read a review of barbecue in Texas and it included some kind of outrageous statement such as, “Texas barbecue is the best in the world!” When I read things like that I think one of two things: either the writer is actually a salesperson masquerading as a writer or the person writing the review hasn’t eaten much barbecue in their life. The truth is, you can find very tasty and exceptional barbecue in Texas. However, you can find very tasty and exceptional barbecue in Kansas City, Virginia, South Carolina, North Carolina, Georgia, Alabama, Kentucky and a slew of other places. To claim that Texas barbecue is the best in the world is a far-fetched fantasy. To be correct, I’d say that some Texas barbecue is among the best in the world. But, I’d say the same about South Carolina and Virginia. That’s a fact-based statement that recognizes the succulent barbecue in those states while leaving room for other places like Texas to also have delicious barbecue. It’s truth, not salesmanship or myth. The Truth About Texas Barbecue. What’s Really Unique about It? The truth about Texas barbecue is that there are very few things about it that are unique. Like some Californians, some Texans cook “barbecue” by burying it in holes after wrapping it in burlap. Like Californians, some Texans also claim to be able to barbecue steaks (west Texas barbecue). Texans barbecue brisket much like people in Kansas City barbecue it. The barbecue sauces in Texas aren’t much different from the sauces you find all around the South. Serving barbecue with only a vinegary hot sauce on the side as they do at Kreuz isn’t confined to Texas. It’s done in North Carolina, too and is probably more of a “North Carolina thing” than a “Texas thing.” Rubs made with only salt and pepper are old hat in Virginia. King’s Barbecue in Petersburg has been in business for 70 years. 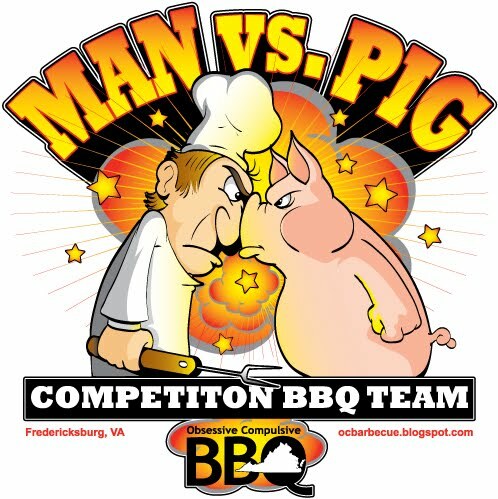 They serve delicious Virginia-style barbecued beef (not briskets) that they season with a rub made with only salt and pepper. Texans cook their barbecue using white oak (called post oak in Texas and in Virginia for as long as I can remember) just like many southerners. There is even a district in my county in Virginia named Post Oak. My Mother's family is from an area named White Oak. It’s also a centuries old tradition in the South to eat barbecue with your fingers. That’s not just a “Texas thing” and was a “Virginia thing” and a “North Carolina thing” for well over 200 years before it ever became a “Texas thing.” Barbecue served on butcher paper has also been done outside of Texas for a long time. Barbecue restaurants and stands in Kansas City have been serving barbecue on or wrapped in butcher paper at least as far back as the late 19th century when the Father of Kansas City barbecue Henry Perry opened his barbecue stand. Texas lacks its own barbecue stew. Virginia has Brunswick stew. South Carolina has barbecue hash. Texas lacks a defining barbecue sauce flavor profile. Eastern North Carolina has its undiluted vinegar with salt and peppers. Virginia has its spiced sauces of the central region and the tangy sauces with a hint of mustard in the southside. Texas lacks a true brisket burnt ends tradition like that found in Kansas City. When I visit Texas, I miss barbecue sandwiches with coleslaw on them. The lack of these things is not necessarily a bad thing; it’s a Texas thing. One of the most unique things about Texas barbecue is a popular magazine that devotes reams of paper, gallons of ink and uncountable numbers of electrons producing lavish and glowing praise on barbecue found in the state or at least in one part of Texas. Texas is a huge state but it only has four barbecue styles found in four regions: Eastern Texas with its southern-style barbecue, Central Texas with its butcher shop-style barbecue, South Texas with its Mexican-style barbacoa, and the cowboy ‘que of West Texas. However, all of the styles of barbecue found in Texas are mostly ignored by the “press” except central Texas-style barbecue. One wonders why there is a noticeable lack of pride in the other styles. I have some ideas about it but they are for another post. Pork "steaks" at Snow's Barbecue. Some in Texas like to cut pork butts into three sections before barbecuing them. They call them “pork steaks” (Snow’s in Lexington does this). When I tried them, though tasty, they weren’t exactly pull tender. Though the sauce served at The Salt Lick is tangy reflecting its Alabama roots, many Texas-style barbecue sauces lack a pronounced tanginess. In North Carolina, some there use what’s pretty much undiluted vinegar. In Virginia, we like to tame the vinegar just a little with “spicy condiments” such as Worcestershire, mustard or tomato sauce. Many Texas-style barbecue sauce makers tame the vinegar so much it’s hard to tell it’s there. Perhaps, it isn’t. Another unique feature that you can find in some Texas barbecue restaurants is the barbecue pit with an open fire at the end. The first time I walked through the backdoor at Smitty’s Barbecue in Lockhart, I was amazed, thrilled and mildly shocked to see an open fire at my feet situated at the end of a barbecue pit with no fence, walls or other safety barrier to prevent someone from stumbling into it. I don’t know of any other state that would allow such a thing due to safety regulations. Even so, to me, the pits at Smitty’s barbecue are nothing less than national treasures and shrines to barbecue history. That’s a true Texas barbecue thing. I’m all for enjoying Texas-style barbecue. When it’s done right, it is delicious. However, I refuse to close my eyes and blindly accept the Texas barbecue myths that are so blatantly spread nowadays by slick writers and over-enthusiastic TV hosts. As they say, "Everything is bigger in Texas" and that includes their barbecue myths. Texas Barbecue Myths – Part 1 – Click here. This is not your Father's Barbecue History. It fills several gaps in our barbecue history knowledge. Available now at online book sellers and on local bookstore shelves! 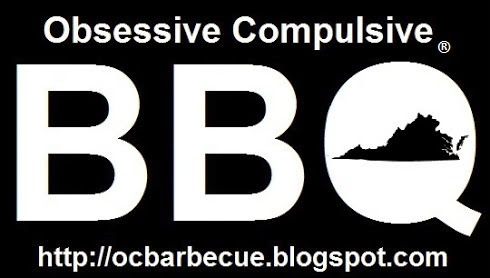 Welcome to Obsessive Compulsive Barbecue! My name is Joe Haynes. This site is a record of my BBQ cooking journey. Cooking delicious barbecue isn't a destination; it's a never ending quest to reach the ultimate goal of tender, mouthwatering barbecue perfection. DISCLAIMER Do not take my advice on anything. This blog is about my experiences, studies and how I cook barbecue and what I have learned about barbecue history, techniques and recipes. This blog is not intended to be learning, training or safety material. For training, safety and learning to cook BBQ, hire a professional. Do NOT try this stuff at home based on what you see or read here. I hope you enjoy your time reading the site. Here I share my cooking victories, defeats, recipes, barbecue cooking and grilling techniques, product reviews, barbecue history, contemplations, reflections, ruminations, and perhaps even some cogitation. All of the photographs and illustrations on this blog are mine unless otherwise noted. Cheers! Barbecue Secret Number 6 - Beef Brisket Fat Cap Up or Down? Old Virginia Barbecue Sauce Recipe - "Shack Sauce"
Copyright © 2014 [Joe Haynes]. All Rights Reserved.. Picture Window theme. Powered by Blogger.